This is a soft quick bread. Delicious and great reheated with a little sweet butter, honey, and fresh fruit. Pre-heat oven to 350. Mix dry ingredients. Mix egg yolks, zucchini, and oil. Beat egg whites to from soft peeks. Combine dry and wet ingredients. Gently fold in egg whites. 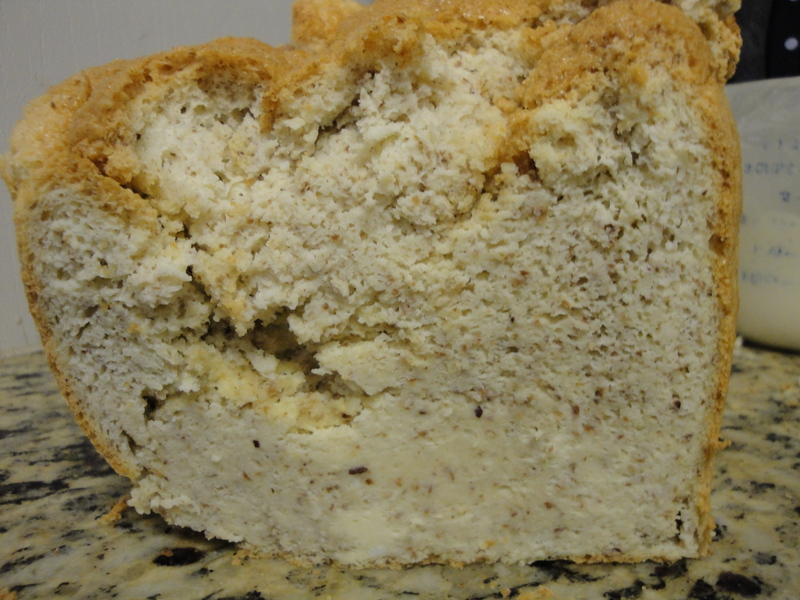 Place in a parchment paper lined small loaf pan. Bake 30 minutes, then begin testing. It may take up to 1 & 1/2 hours. 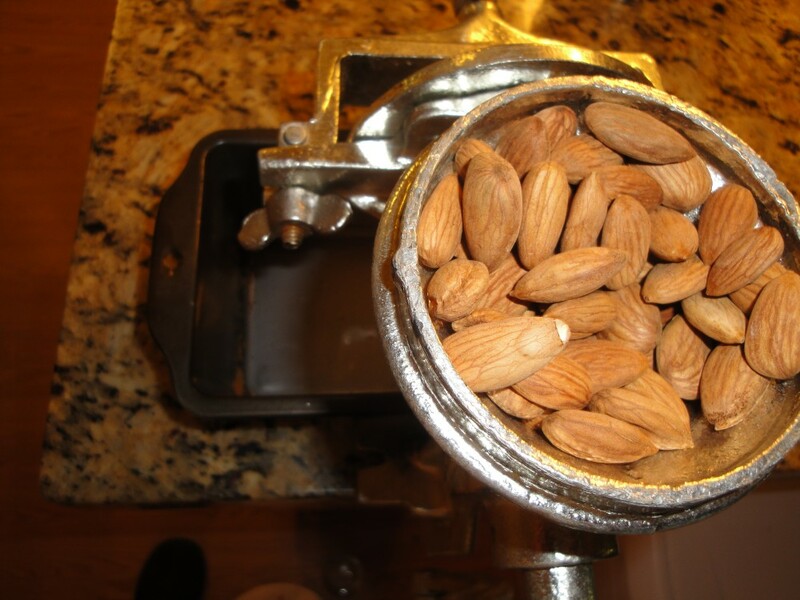 Since ancient times nuts and seeds have been soaked and dried, for health and nutritional benefits. 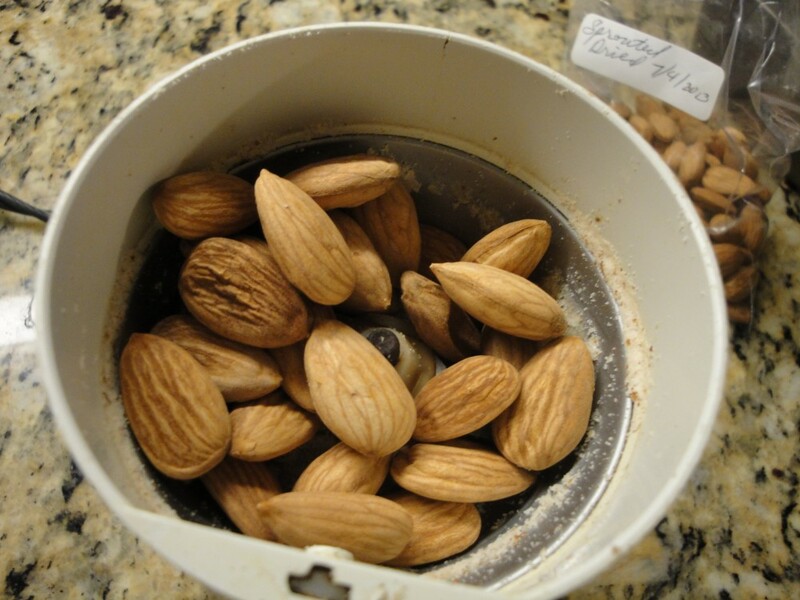 See post “Sprouted Almonds” for details. Many diets use almond (mill) flour in place of wheat. 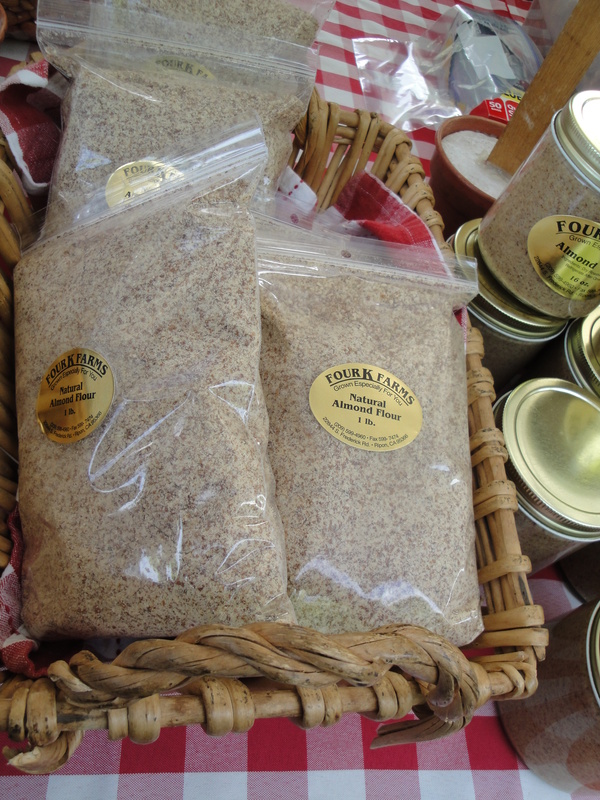 IMHO, the best flavor and nutrients come from sprouted flour. The process for making this is very simple, and here are three ways to do it. Spice grinder (coffee grinder used only for spices) This is great for small amounts, and fast. 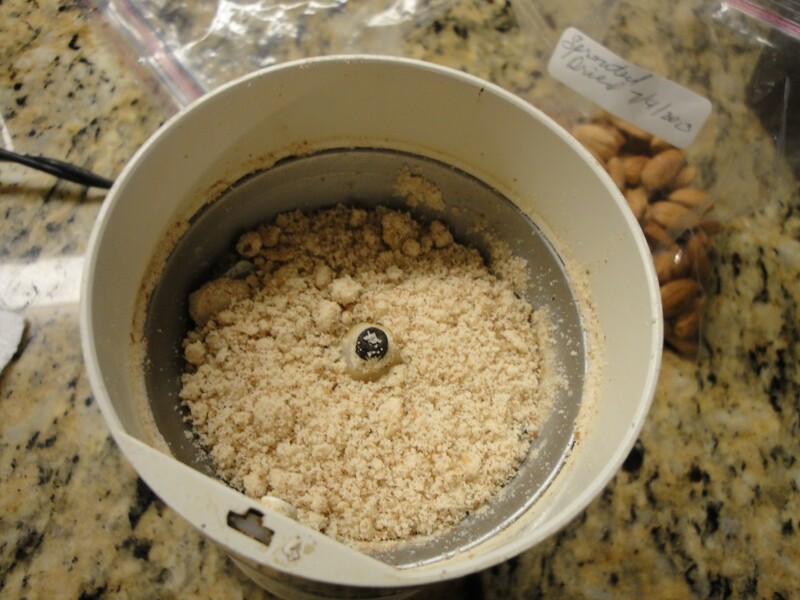 Grind in short burst, and shake as you go, the goal here is to make mill/flour, not a paste for almond butter. 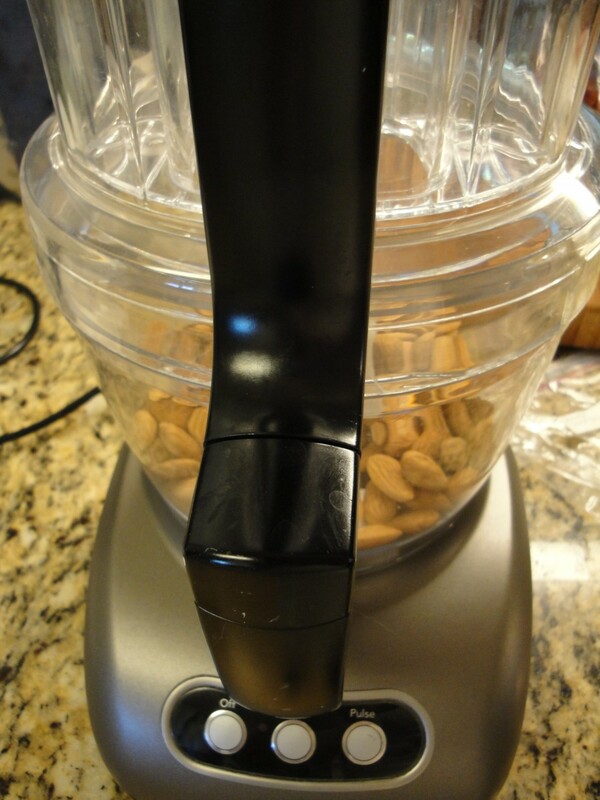 Food Processor, again use short burst bush down sides, as you go, remember make flour not nut butter. Hand grain mill, no worry about over grinding, best to use when you need large amounts. 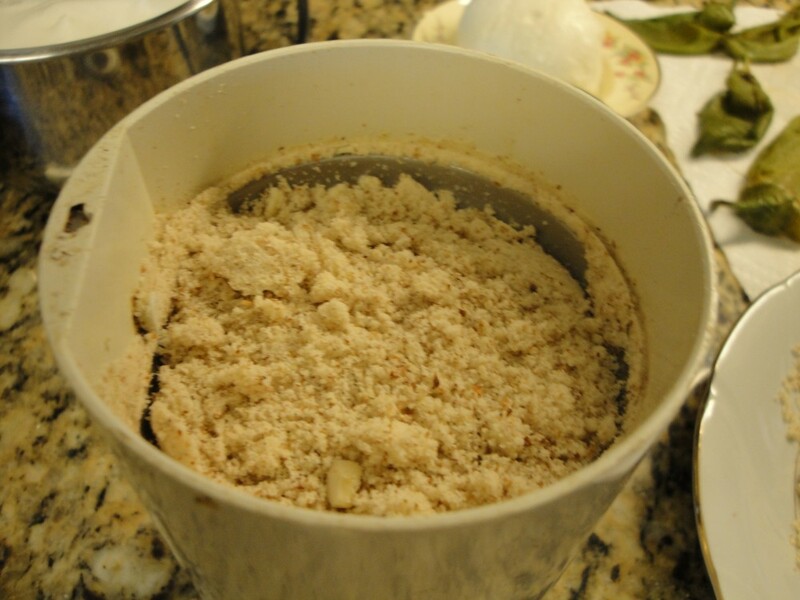 A mortar and pestle can also be used, but this would be the equivalent to making acorn flour, in a grinding rock. I haven’t done it that way, so I can’t really tell you how it would work.